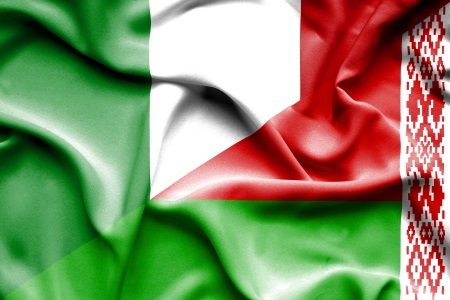 Belarus is seeking to cooperate further with Italy, Belarus' Prime Minister Sergei Rumas said as he met with Deputy Chairman of the Council of Ministers of Italy, Minister of Economic Development, Labor and Social Policy Luigi Di Maio, BelTA reports. Rumas brought up resuming the Berlarusian-Italian works regarding intergovernmental commission on economic cooperation and invited Italian companies to execute projects in the China-Belarus industrial park, Great Stone. Rumas went on to point out the two countries’ success in bilateral trade. In 2018, trade between Belarus and Italy increased by 15.2% from 2017, reaching $912.7 million. Italy and Belarus have been great economic partners, yet the Belarusian side has pointed out potential of further growth in bilateral relations. The meeting was the first to happen in ten years between the two countries’ governments, which marked an important step in advancing bilateral dialogue. The Belarusian prime minister proceeded to invite Luigi di Maio to visit Belarus and attend the second European Games in Minsk, signifying that the meeting turned out successful. Di Maio then tanked Rumas for their meeting and the opportunity to discuss several issues in detail.